Electro pioneer Gary Numan will return with his first album of original material in seven years, Splinter (Songs From A Broken Mind), on October 15th via his own Machine Music label. 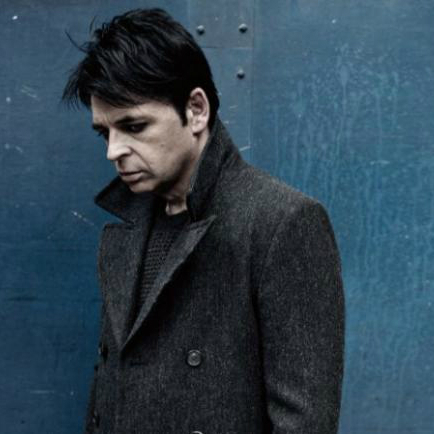 It marks the proper follow-up to 2006′s Jagged as Numan’s 2011 release, Dead Son Rising, was comprised of rehashed demos. The album was recorded in Numan’s home studio in Los Angeles with producer Ade Fenton, and features contributions from Nine Inch Nails guitarist Robin Finck. According to a press release, the 12-track album is full of “classic Numan melodies and vocal delivery,” referencing industrial and Arabian influences alongside his most personal lyrics to date. If you have enjoyed electronic-oriented music at some point over the last couple of decades then you can feel free to send Gary Numan a thank-you note. 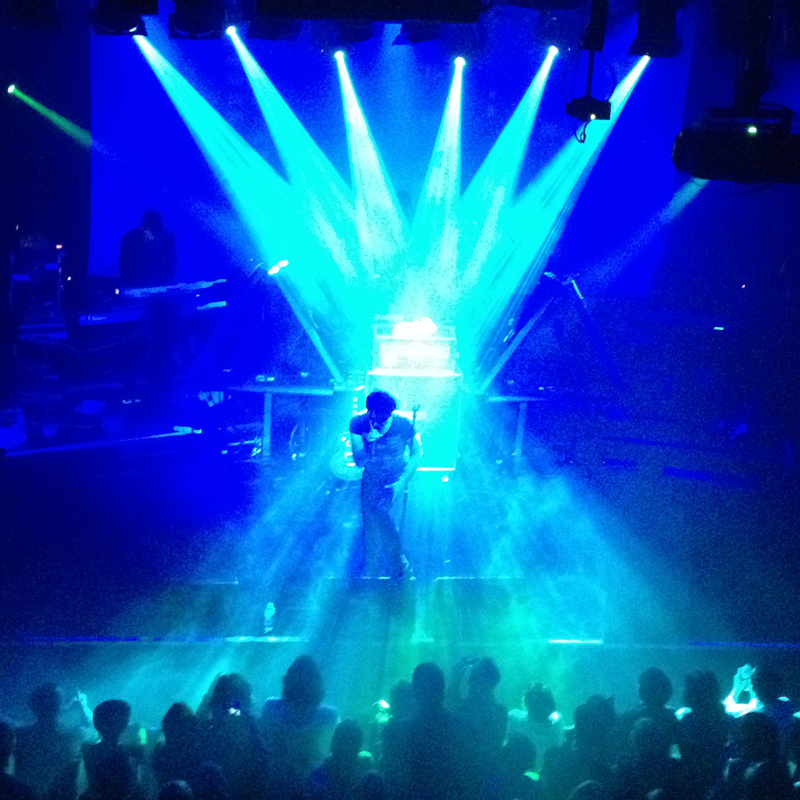 Over the past 35 years, Numan has released some of the most influential electro-synth music ever to be performed by an alien-looking English person with a penchant for pancake makeup and robotic stage moves. His early albums as Tubeway Army (Tubeway Army, Replicas) launched a style of synth-driven pop music that would eventually make Numan famous (and many of his imitators much more famous), but it was his early solo work (The Pleasure Principle, Telekon) that would not only make him a kind of electro-icon, but also inspire a generation of young Trent Reznors to sit down at a keyboard and get weird. We don’t usually do poetry here at G&A Towers, but this is excellent, somewhere between Spike Milligan and Attila the Stockbroker. And what better subject matter for such a poem as Mr Gary Numan? Wannabe in Gary Numan’s latest film venture? Playground Festival – 10 June 2013.
via An Android in the Playground on Vimeo. Gary Numan speaks to Mark and Stuart about his brand new album Splinter, its industrial sound and moving to the US west coast. 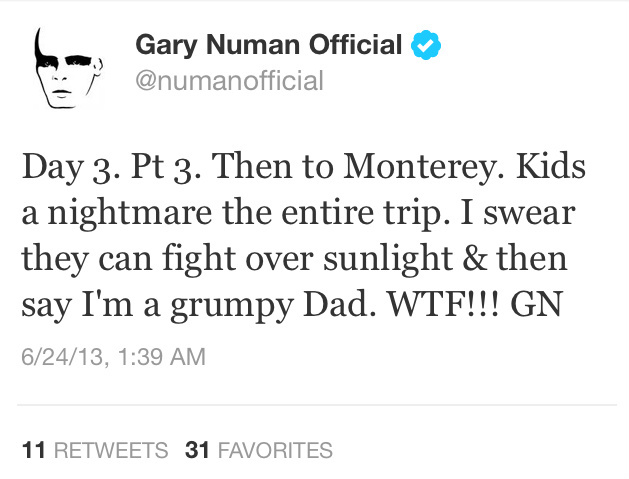 Thanks to Dd – the original Numanoid – for the heads up! A chart-topping hit single, but one which took seven weeks to reach the top, and a song whose composer claimed had “no recognisable hook-line whatsoever”. And if that didn’t exactly smack of mass appeal, the cold, sci-fi influenced lyric and Gary Numan’s aim to get “really hung up with this whole thing of not feeling, being cold about everything, not letting emotions get to you,” made it an odd single to chime with the populace. 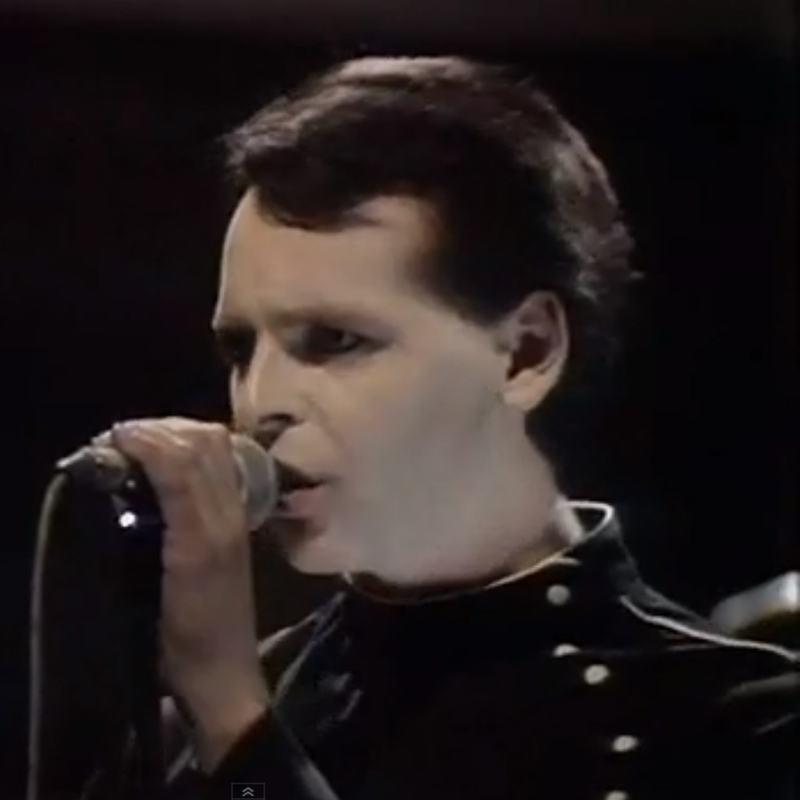 But with his first stiff, robotic appearance on Top Of The Pops (self-effacingly put down to a glut of nerves and a dearth of showmanship), Numan resonated with many kids who also felt alienated.